hd00:22Beauty clinic. 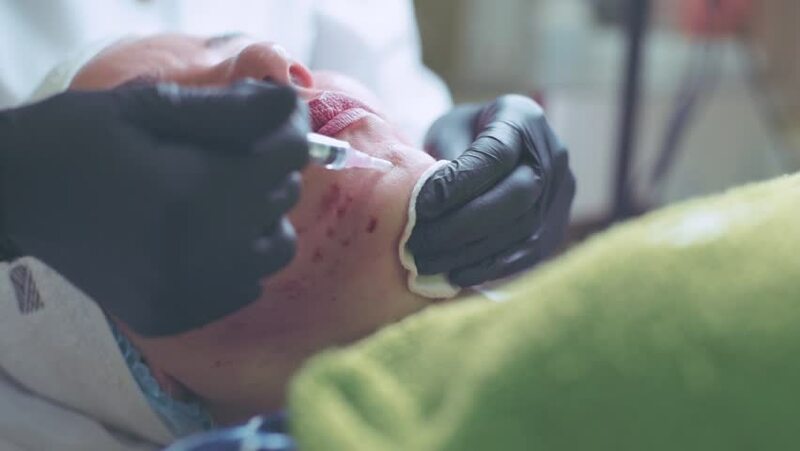 Cosmetologist in gloves making face injection in a female skin. collagen injections.